Taking your CBT Test in Stirling is the first step to getting out on the road and enjoying the beautiful scenery in the Loch Lomond and The Trossachs National Park. But if you’re struggling to take you CBT test in Stirling, or confused about the process and what is a cbt test, don’t worry, we’re here to help you out. Where Can I Take my CBT Test in Stirling? Cameron Bike Training are based just north of the centre of Stirling, in Raploch, less than a 20 minute walk from Stirling station. The facilities at Cameron Bike Training are well equipped, and the school provides a large fleet of manual 125cc motorcycle and 50cc automatic scooters for use during your CBT. 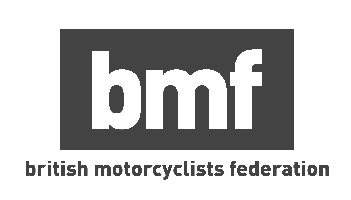 To the south of Stirling, Jim Allan Motorcycle Training are based in Falkirk, and also offer a large variety of 50cc and 125cc machines for your CBT training. This particular training school also benefits from a motorcycle shop on location, so once you’ve received your CBT certificate, you’ll be able to treat yourself to some new equipment or clothing. There’s not better feeling than riding a motorcycle or scooter on amazing roads, surrounded by a beautiful landscape. And once you’ve taken your CBT test in Stirling you’ll be perfectly placed to experience some of the best. If you want some beautiful roads right on your doorstep to build up your confidence, then there are two to the east of Stirling which provide amazing views. The A823 from Glendevon is a wide A-road that scythes through picturesque rolling hills all the way to Gleneagles. If you want a slightly quieter road, the B934 runs almost parallel upto Dunning. The views aren’t quite as spectacular, and it’s a little narrower, but you won’t be bothered by other road users quite as much. The A821, from Aberfoyle to Kilmahog is another slightly quieter and narrower road, and this particular road skirts the shores of both Loch Achray and Loch Venachar. Once you’ve built up a little more confidence on the open road, there is a good loop around Loch Lomond and The Trossachs National Park, which starts and finishes in Stirling. You can tackle it either way you like, but to go anti-clockwise, take the A84 north to Lochearnhead, then follow the A85. You’ll turn west, until you reach Crianlarich, where you’ll pick up the A82. The A82 will take you all the way back to Stirling, down the western shore of Loch Lomond. This loop is comprised of wide A roads, and they can get quite busy - especially in the summer - but the scenery is second to none and there are plenty of stops along the way.